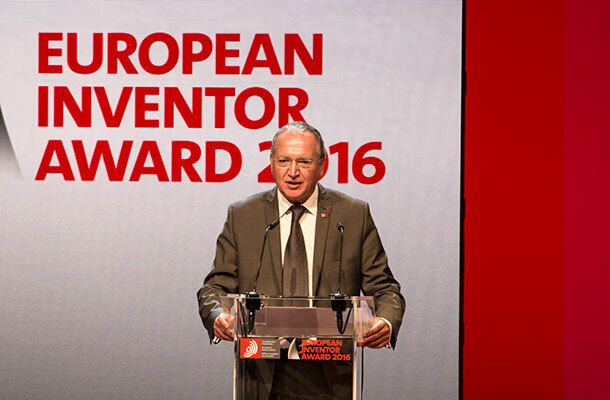 This year's prestigious European Patent Office (EPO) Inventor Award was hosted in Lisbon on 9 June. The Portuguese are exceptionally hospitable and their Prime Minister, Antonio Costa, is a former IP attorney and is passionate about the importance of IP to the Portuguese economy. 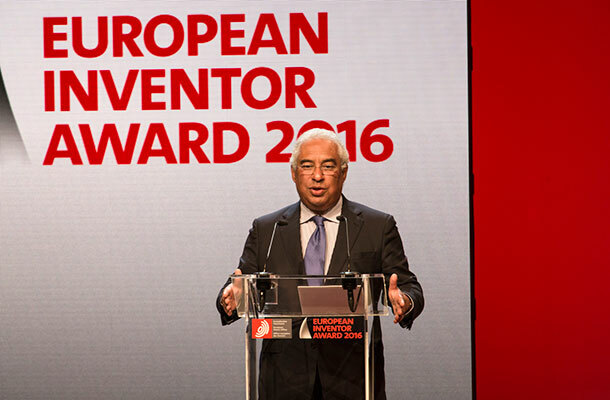 Image of António Costa, Prime Minister of Portugal, delivering the opening address at the European Inventor Award 2016 ceremony. Image courtesy of the EPO. Just a few years ago Portugal's economy, he admitted in his keynote address, was based on the production of counterfeit goods. He saw that there was no sustainable future unless the Portuguese started to innovate. He was proud to announce that this year, Portuguese patent filings have increased by a whacking (my word, not his) 21%! I was particularly impressed that the Prime Minister not only spoke but stayed for the whole Awards ceremony. To me, that spoke volumes about his commitment to IP. I was also delighted that our own Minister, Baroness Lucy Neville-Rolfe, was able to attend, and spoke at the event. The President of the EPO, Benoit Battistelli, made a good speech. Portugal was historically famous for its explorers and, Mr. Battistelli pointed out that it was appropriate to be celebrating this year's Awards in Lisbon because inventors are the explorers of the modern world. Image of Benoît Battistelli, President of the EPO, delivering an opening address. Image courtesy of the EPO. In the past, the 'explorers' were celebrated and we all know the names Pasteur, Morse and Edison but the great inventors of today are largely unknown and their achievements are taken for granted. This was the main theme of the speech from Carlos Moedas, the European Commissioner for Research, Science and Innovation. He used the example of Hedy Lamarr, who is only remembered for her acting career but, in fact, she invented Spread Spectrum Technology and was a pioneer in the field of wireless communications during the Second World War. Mr. Moedas, I believe, spoke for the entire audience when he stated how important it is that today's inventors and their inventions are celebrated and that the EPO Inventor Awards were therefore hugely important. Each year, on the evening before the Awards ceremony, there is a grand reception. As a member of the jury panel for the past three years, I have had the pleasure of attending these events. 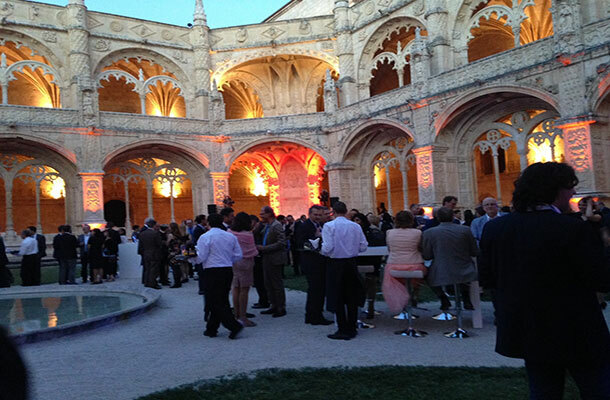 This year the party was held in the magnificent two story cloisters of the Jerónimo Monastery in Belem. It was a fabulous event. Built in 1502 during the Age of Discovery, the Monastery houses the tombs of many famous people from Portuguese history and most notably the explorer Vasco Da Gama. Its elegant white columns, carved with nautical and sea motifs, glowed in the sunset and finally sparkled white against the night sky. Typically Portuguese, the food was fantastic and abundant. The deserts including the mouthwatering "Pastes de Belem". If you have never eaten these, put Lisbon on your bucket list! There is a famous pastry shop almost next door to Monastery Jerónimo called 'Pastes de Belem' after which this delicious little custard tart is named. People queue just to get a sniff! 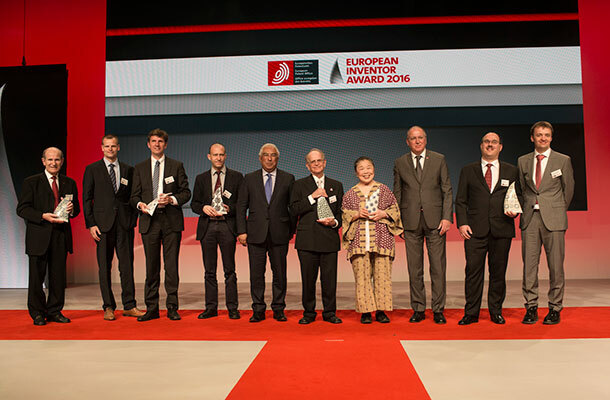 Image of the winners courtesy of the EPO. The nominations for these Awards are outstanding inventions that change our world and have significant technological and economic impact. In past years, a number of winners have subsequently received the Nobel Prize. This year's judging was exceptionally difficult. The inventions ranged from artificial implantable hearts to a secure method of smartcard encryption and to environmentally friendly paper transistors. Read about the finalists and their inspirational inventions. 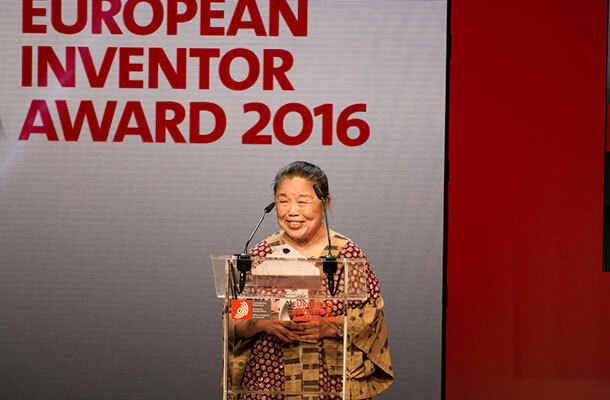 Image of UK winner Helen Lee, courtesy of the EPO. I was delighted that the UK's Helen Lee won the Popular Prize. Her low cost and easy to read diagnostic kits designed for developing countries won two-thirds of the public vote. Given that so many significant inventions emanate from the UK, and that this is such a prestigious event covered by the global news, more great British Patentees should be encouraged to enter the EPO Inventor Awards 2017. Nominations are now open!